Born to be wild is all about having the freedom to do things and enjoying the simple things life and this 1 DIN car CD player “Crusier” is very simple. Doing what you expect a car DVD player to do such as playing music via CD, USB or SD port, the “Cruiser” is very diverse in how it plays music even with a basic exterior design. As it is region free you can take advantage of knowing you can use DVDs from all over the world, all it takes is to wire the car DVD unit to a monitor and watch the action. As an added security measure, whenever you leave your car you can remove the front panel meaning the 1 DIN DVD car player “Cruiser” no longer will interest thieves looking for something easy to steal from your car. Combining design excellence and innovative technology, this new car multimedia system makes a winning upgrade to any personal or company vehicle. The “Cruiser” handles the web's most popular video and audio file formats like AVI, MP4, and MP3 with ease. With multiple entertainment choices, the 'Cruiser' is guaranteed to keep you and your passengers in a good mood for the long drive ahead. 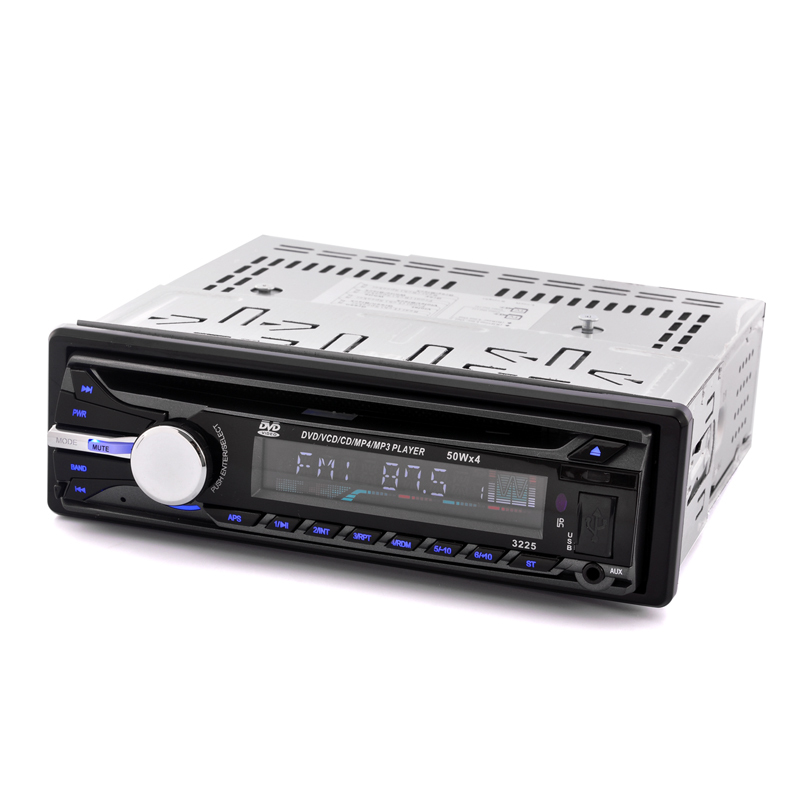 With this 1 DIN Car Audio Entertainment System, not only will you be getting great music from FM Radio and CDs, but with the AV OUT, connecting the 1 DIN Player to any LCD Screen for playing VCD/DVD's is both easy and much more affordable than buying a car DVD player with a screen pre-installed. Simply insert a USB drive, SD card or DVD into this 1 DIN Car DVD Player and you will be able to play all your favorite movies or music directly or if you prefer, you can listen to your favorite FM/AM radio program. This product is in stock and can be dispatched within 24 hours of ordering with a 12 month warranty. Brought to you by the leaders in wholesale electronics and Android mobile phones, Chinavasion.